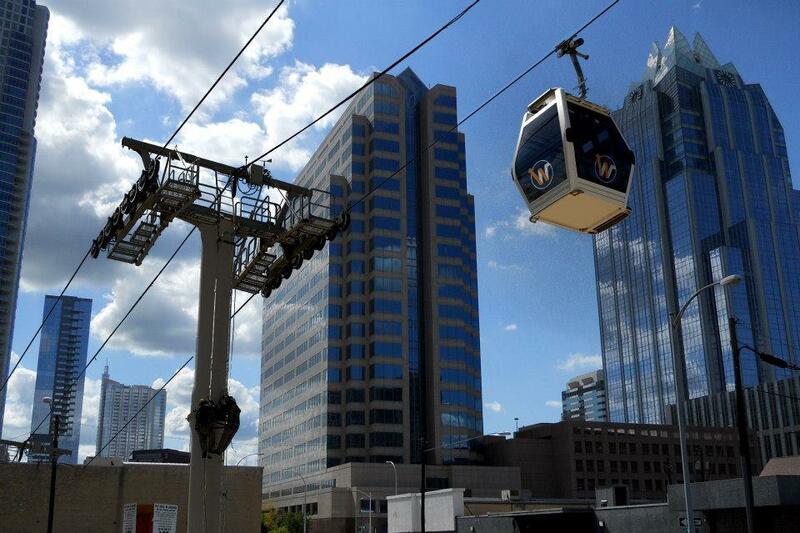 Could Gondolas Be Taking Off Soon in Austin? Conceptual drawing of the Wire Austin. For years now, Austin designer Jared Ficklin has been preaching the gospel of urban cable – the concept of using gondolas whisking commuters and tourists to and from downtown, the airport, wherever, solving at least some of Austin’s transit woes. As he sits it, an aerial cable system would be similar to a large ski lift only, instead of taking you to the top of a mogul run, it can take you to meet with moguls of industry, perhaps. A proposed gondola line would use the South First Street corridor as a route, spanning from the south shore of Lady Bird Lake to Slaughter Lane. Ficklin and his then-business partner Michael McDaniel created quite a stir when they presented the idea – called “the Wire” – at an Austin TED-X Talk. They started by looking at a simple question. 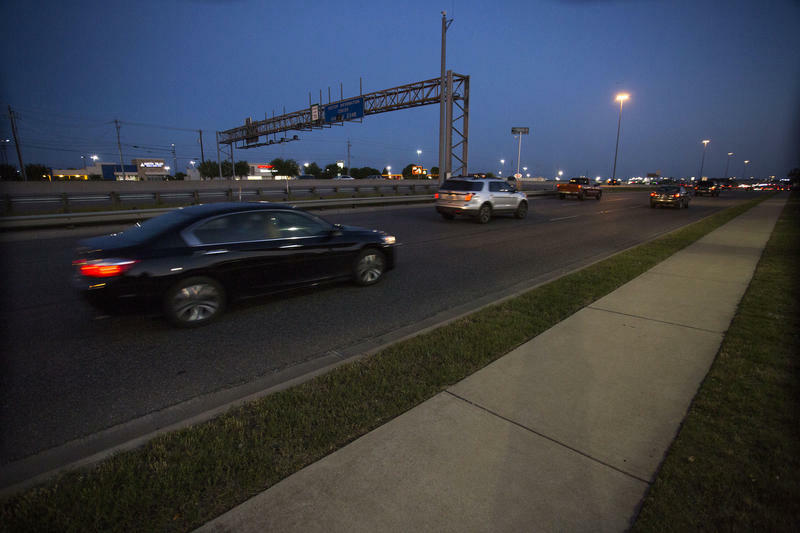 Ficklin argued Austinites don't like schedules, that they value a certain amount of personal space and, thus, they are public transit-averse. And, out into the universe their idea went. Some reacted positively, some with a snicker. Four years went by, but Ficklin and others kept beating the drum. 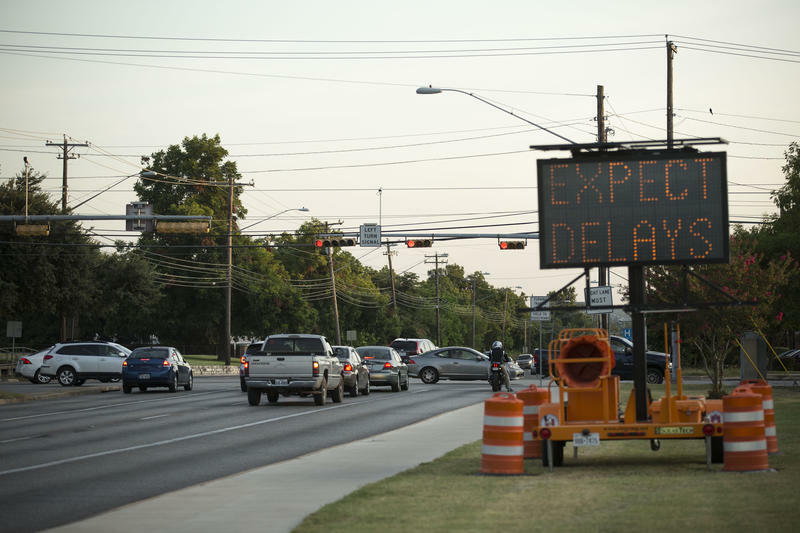 And then, suddenly, after proposing a wire line along South First and Guadalupe streets at the Central Texas Regional Mobility Authority (CTRMA) board meeting earlier this month, it seemed to get some momentum. "I think this idea deserves a little more consideration than the four words that I have heard given to it, which is, ‘That won’t work here.'" Other board members echoed Armbrust's cautious optimism. “I would want the board’s support in moving forward with at least some initial study and being one of those partners that’s come to the table to look at the feasibility of it,” said fellow Board Member Nikelle Meade. 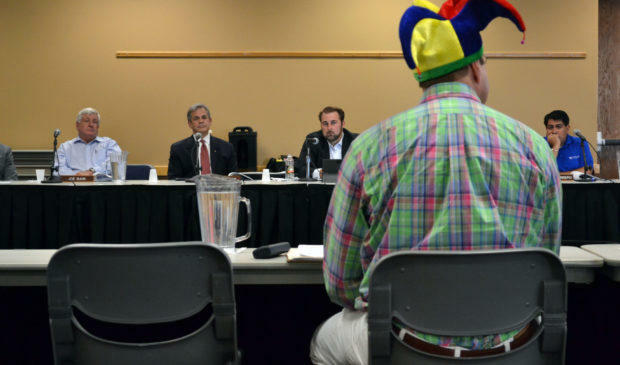 CTRMA Executive Director Mike Heiligenstein went as far to tentatively pencil an item in for the board's next meeting. The contribution Heiligenstein mentioned is all, or some portion, of about $15,000 for a viability study. It’s the very cheap first step in the process of this, literally, getting off the ground. Ficklin called the meeting a huge turning point, and he wasn’t the only one who noticed. Travis County Commissioner Brigid Shea is a longtime participant in city and county politics. She says the board's reaction surprised her. “It’s a fairly conservative board, and I was surprised to hear that they got excited about this and basically told the director, ‘Can’t you just go ahead and fund this study and get this thing going,’” said Shea. Given her years of public service and decades driving around town, she’s well-versed in Austin’s traffic morass. Gondolas may seem new to us and, perhaps, only associated with ski lifts. But aerial mass transit is already up and running in Caracas, Venezuela, Medellin, Colombia and La Paz, Bolivia – a city comparably sized with Austin. It has three lines up and wants to have eight more running soon. Randy Woolwine vice president of sales for Doppelmayr – one of two manufacturers of aerial cable systems in the world – says one of the reasons La Paz turned to gondolas is for a quick return on investment. And the investment those cities make is half, or less, of what more established mass transit train options would cost, with limited headaches of fortifying infrastructure, taking away lanes of traffic, building bridges or using eminent domain. According to the Wall Street Journal, other U.S. cities looking into gondolas as a transit solution include Baton Rouge, Brooklyn, Buffalo, Chicago, Cincinnati, Cleveland, Miami, San Diego, Seattle, Tampa Bay and Washington. Ficklin is consulting with some of those, though, he can not say which ones. So, what're the pros and cons? Air-conditioned cars, which could seat as many as eight, would arrive every few seconds. The system would continuously run for 19 hours a day. Urban cable could connect with other transit without disrupting traffic below. Neighborhoods could be left largely intact. The system touts a more than 13,ooo passengers-per-day capacity. The city owns right-of-way for a South First route, the first of several proposed routes. Any big maintenance issue would require a complete shut down of the entire line. There is a debate over whether or not they are aesthetically pleasing. What do some would-be riders think? 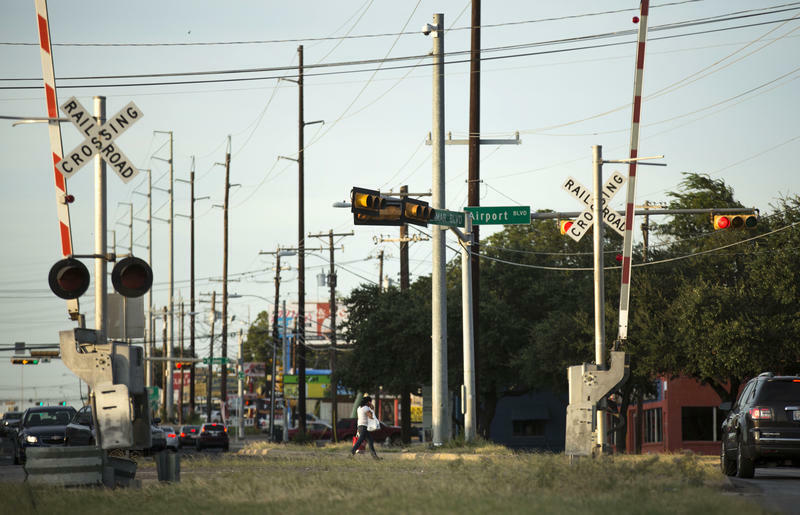 The intersection of Barton Springs Road and South First Street is the heart of an area that could see the most direct benefit if the system comes to fruition. But will people use it? South First resident Erin Boon isn't so sure at first glance. “I don’t believe you...that’s, like, not happening," she said, though, after some initial skepticism, she says she would like a gondola option. She’s even ridden one in Portland. Down at South First at Oltorf streets, Austin native Joshua Martinez Aleman says he's open to the idea, but he had issues with Austin’s last big transportation splash, MetroRail. “Heading back home was a hassle. I had to hurry and I barely sometimes...when I did take it I was very close to missing it because it was just too full," he said. " Billy Collins is an independent contractor. 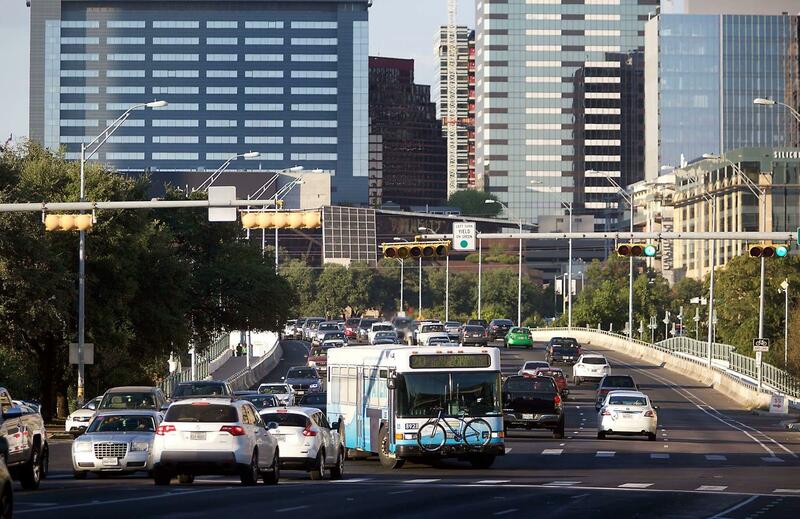 He says mass transit doesn’t fit his needs, but Austin needs a solution. “I don’t know if it is so much a gondola, but they've got to do something. I just came from a block south to here and it took 10 minutes," Collins said. There are still many steps to go before this moves out of the theoretical – but if the Wire can navigate its bureaucratic path, it could be floating over Austin soon. “I think if we had the green light today, we could be riding this thing five years from now, so a very good timeline,” said Ficklin.